The classes at Ben Reid and Aberdeen Science Centre are £7 per child per class for children attending these sessions. They can booked on a pay as you go basis through our website. Fees are non-refundable. There is a discount available of 20% for 2 siblings attending the same Gardening4Kids classes. On receipt of your online booking Gardening4Kids will confirm your booking and acknowledge receipt of your payment either via email. Gardening4Kids will keep your information in accordance with the Data Protection Act (1988). It will only be used for the purposes of Gardening4Kids. No other company or organisation will be given your personal details. Gardening4Kids reserves the right to alter or cancel classes as weather or other operational considerations dictate. 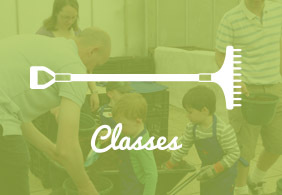 In the case of cancellation of a class by Gardening4Kids, participants can either receive a refund of the fees for that class or choose to come to a class at another venue in that themed month. 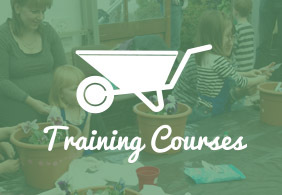 Parents and carers are important to Gardening4Kids sessions being successful. Therefore in making a booking you agree help your child in the session activities. Gardening4Kids will take all reasonable steps to ensure that you and your child can explore the theme of each class safely. 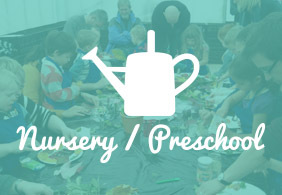 Gardening4Kids will have carried out a full risk assessment for each themed session, whether it is indoors or outdoors. You should ensure that your child participates only if they feel safe to do so. Gardening4Kids will encourage each child to take part in the activities at their own level. You, however, will remain responsible for your child during each Gardening4Kids class. In making a booking for a Gardening4Kids session, you acknowledge the risks associated with these types of activities and agree to keep your child safe during each class. Gardening4Kids will provide all necessary and appropriate equipment for each activity. Gardening4Kids does not accept responsibility for you or your child’s property. Gardening4Kids classes will predominantly take place indoors or under shelter. Appropriate clothing for gardening is required by attendees at all classes. Children’s gardening gloves and aprons will be provided by Gardening4Kids. There may be some occasions when activities take place outdoors. You will be advised of outdoor sessions in advance and on these occasions you must ensure you and your child are dressed in appropriate waterproofs, footwear, hats and sunscreen. You must tell Gardening4Kids of any illnesses, allergies, disabilities, additional support needs or social problems that your child has or has recently had that may affect your child or other children during Gardening4Kids classes. This information will be treated in the strictest confidence. You must make sure your child behaves in a respectful manner to other attendees and the session leader. Unless you advise Gardening4Kids in advance that you do not want your child to appear in any images, photographs of Gardening4Kids classes taken by Gardening4Kids may be used by Gardening4Kids for promotional material and website content. Please contact Gardening4Kids as soon as possible to discuss any complaint you may have. E: info@gardening4kids.org.uk, Mob: 07961 907662.